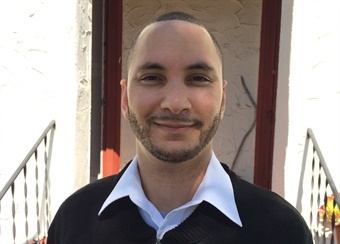 The Oakland, Calif.-based Alameda-Contra Costa Transit District's (AC Transit) board of directors presented Bus Operator Ari Megaro with a commendation for actions that "exceeded the deliverance of excellent customer service," on Wednesday. On April 30, Megaro was driving his bus when he observed a small boy on a foot-powered scooter riding on the sidewalk alongside his Line 12 bus. The child appeared to be alone. Passengers also alerted Megaro that they too noticed the boy several miles back; as some waited to board the Line 12 bus. Sensing a potentially dire situation, Megaro immediately brought his coach to a safe stop then engaged the boy using an exceptionally calm demeanor. In fact, the operator and boy talked about their mutual love of skateboards, which helped gain the boy’s trust, according to the agency. During the incident, Megaro — employed with AC Transit just 21 months — was not aware that seven-year-old Danny Eichberg has autism. Nor did the operator know that Danny had traveled several miles from his family’s home in Piedmont. At home, Danny’s family had frantically contacted local police and an active search was in full-swing. However, no one imagined Danny had traveled alone to Lake Merritt on his scooter. "We are incredibly grateful to the AC transit passengers for noticing our son and sharing their concerns with the operator, and to Mr. Megaro for taking the initiative to intervene and ensure his safety,” said Michael Eichberg, Danny's father. “Children on the autism spectrum like Danny are part of our community, and having people who are aware of and on the look-out for them will ultimately make all children safer." Danny’s parents taught him two vital facts: how to spell his parent’s names and his full address. This was vital to Alameda County Sheriff’s Deputies, who then searched the Eichberg’s on Facebook. After locating his mother’s page, deputies showed the profile picture to the seven year old and were able to make a positive identification.